Stream anime episodes online for free. Watch Princess Tutu Episode 15 English version online and free episodes. 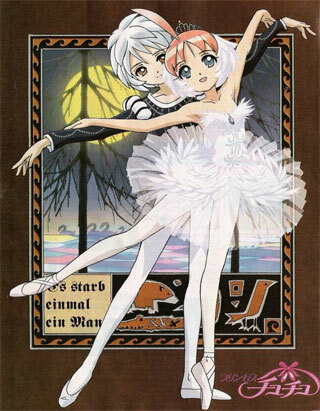 Anime Episode guide, Chapter Princess Tutu Episode 15 English dubbed Akt 21 – Kapitel des Junges: The Spinners ~ Lieder ohne Worte (Part 1) At the library, Fakir has borrowed a huge amount of books, while the librarian, gave him an extra book, that puts Fakir into suspicion. Author has told Fakir’s ability to weite things that eventually come to life, he even told Fakir that he was the direct decendant of Drosselmeyer.